This magnet set is the perfect gift for your favorite sewer! 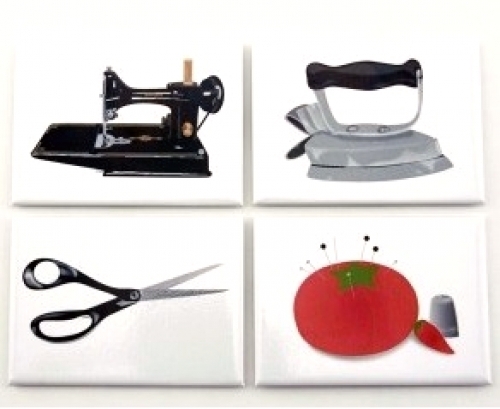 Set includes 4 magnets with the following graphics: sewing machine, iron, pincushion and scissors. Made in America using original artwork from Studio Daedre.